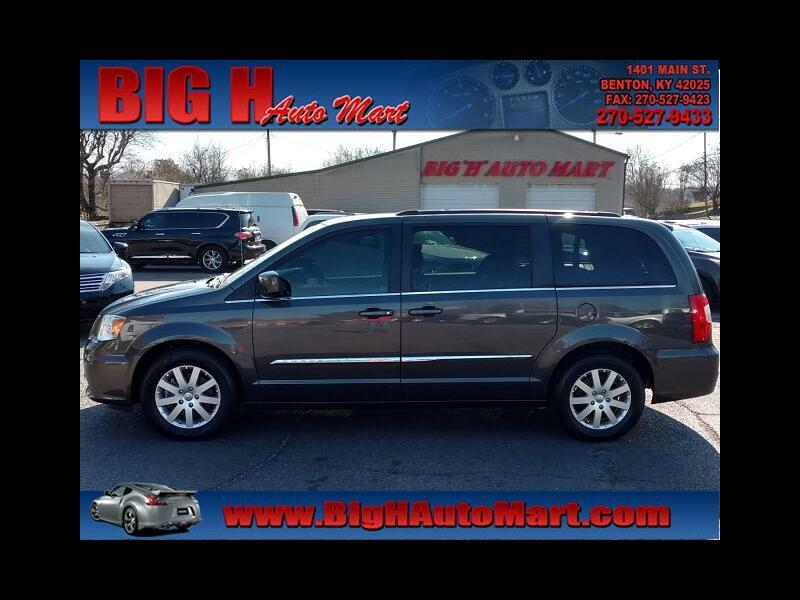 Visit Big "H" Auto Mart online at www.bighautomart.com to see more pictures of this vehicle or call us at 270-527-9433 today to schedule your test drive. Vehicle Information Trim: Touring Body Style: Van Fuel Type: Flex Fuel Fuel Capacity: 20 gal Recommended Fuel: 87 octane Passenger Seating: 7 OEM Tire: P225/65R17 Engine: Pentastar 3.6L Flex Fuel V6 283hp 260ft. lbs. Engine HP: 283hp @6400 rpm Engine Torque: 260 lb-ft. @4400 rpm Towing Capacity: n/a Max Towing Capacity**: 3,600 lbs Max Payload: 1,398 lbs Disclaimer: All figures are provided as a result of a VIN data lookup. Some data may not be accurate for the vehicle due to factors as optional equipment and aftermarket additions. Always check the owner's manual for complete information.